Join Pickup Country the Saturday after Thanksgiving, and do your part to help make this Small Business Saturday one of the biggest shopping days of the year for small businesses! Why is increasing local business important? Local businesses spend more money locally. Businesses anchored locally produce wealth for many more years and often generations. Economies built on local business tend to have more social stability, lower levels of welfare and greater political participation. 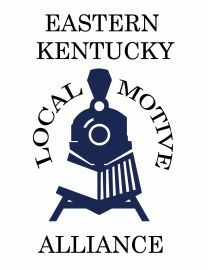 WSKV is a formal partner of the Eastern Kentucky Local Motive. Contact Ethan Moore, EKLM Network Representative at (859) 771-9676. As a consumer, you face the challenge of making smart food choices for you and your family. Did you know the average meal travels 1,500 miles from the farm to your plate, resulting in lost nutritional value and taste every mile of the way? Buying Kentucky Proud products decreases this distance and ensures that you’re eating fresh and nutritious foods while supporting Kentucky’s farm families. Buying local products strengthens our local economy by keeping dollars at home and building a sense of community during the process. Kentucky Proud is not only a way to provide safe and nutritious foods for your loved ones, but it is an investment in Kentucky’s land, people and its future. Kentucky Grown Keeps Kentucky Growing!